Greta Bruner’s record-tying performance helped carry the No. 19 women’s golf team to a fourth-place finish at the ICON Invitational in The Woodlands last week. Bruner’s final round score of 68 gave her a 54-hole score of 210, tying her with four others for the best score in TCU history. Overall, Bruner finished as the individual runner up, finishing three strokes behind tournament winner Alice Hewson of Clemson. After a dull opening round that landed TCU in the middle of the pack and 18 strokes off the lead, the Horned Frogs surged in the last 36 holes. The team’s 1-under final two rounds was even with tournament champion Houston. First-year Sabrina Iqbal continued to impact the team, finishing 2-over par and tied for ninth. She has three top-10 finishes in her last five tournaments. Senior captain Annika Clark struggled to an opening-round score of 80 but shot just 1-over par in the final two rounds to finish tied for 37th. Her 1-under 71 in the final round was second on the team to only Bruner, on a day when the Frogs stormed up the team standings. 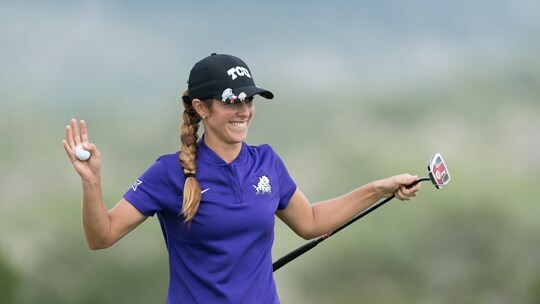 After a disappointing ninth-place finish at the Lady Puerto Rico Classic last month in the team’s first tournament of the semester, the Horned Frogs returned to their fall form at the Woodlands. They won two of their four tournaments last semester and finished second in another, sparking excitement within the program. The Horned Frogs’ next tournament is March 15-16 in the Tar Heel Classic in Casa de Campo, Dominican Republic. Previous articleWhat we’re reading: Who needs a script?